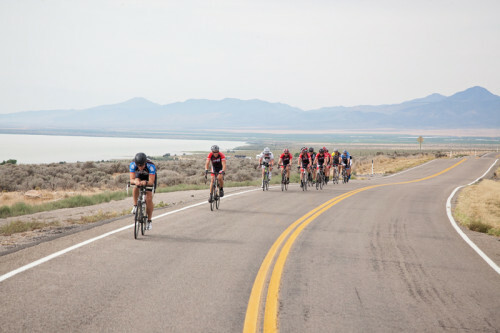 June 25, 2015 – The Hotter than Heck Utah Valley Century is a 35, 60, or 100 mile ride around Utah Lake on August 1, 2015. This is the 31st year of a ride around Utah Lake. Held at the beginning of August, the event is a standard on the Utah calendar. We asked event organizers Spencer Erickson and Allan Sumnall to tell us about the ride. 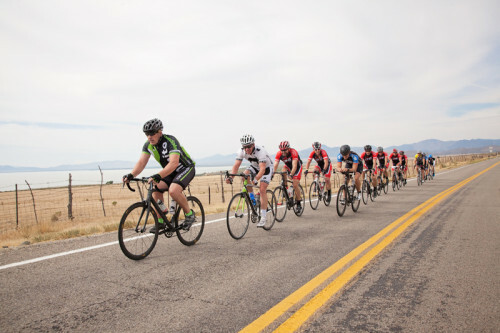 Cycling Utah: Tell us about the course. What are the highlights? What can riders look forward to? Where and when is the start and finish? HTH: The course is a clockwise loop around Utah Lake, including many of the beautiful communities between Lehi and Genola on both sides of the lake. Highlights include riding through surface streets on a sleepy Saturday morning, seeing hundreds of other riders all around you, and testing your fitness on a bright, hot summer day. That being said, the rest stops are also a highlight worth mentioning. CU: What support will you have during the ride and after? HTH: During the ride we have SBR Cycles, based in Orem, providing mechanical support for riders where they can. We also have rest stops starting at mile 18 with food and water, along with ice as the day gets hotter. At the end of the ride, we are planning to have a burger, fries, and a shake waiting for each rider just like last year. CU: The event is timed for all riders. Tell us how that works. Is it a race? HTH: No, this is not a race – it’s a gran fondo event that people can take as casually or seriously as they would like. There is a long tradition for the century around Utah Lake to be timed, and this year we are keeping with that tradition. CU: Tell us about the team competition. HTH: Well, again this is not a race, per se, but some friendly rivalries have been brewing since last year’s team competition. To encourage that spirit of competition, there’s a trophy and a some cash going to the fastest team of four (or more) riders. It’s all in good fun, and we love seeing teams registered! 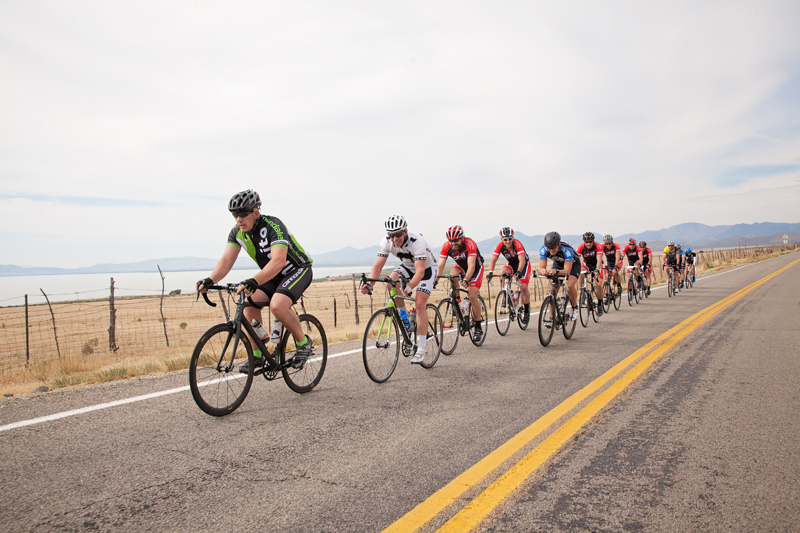 CU: The Hotter than Heck Century Ride raises money for Kid Team Courage. Can you tell us more about the charity? Will any of the kids be out at the ride? HTH: Team Kid Courage is dedicated to helping children with disabilities participate in sporting and other active events notwithstanding their physical limitations. Loving parents are increasingly finding ways to enhance their child’s quality of life by providing participation in diverse sporting experiences. It is equally important for able-bodied people to help these children attain normally unreachable goals. Team Kid Courage employs its diverse experience in sports from triathlons to paragliding. Their mission is to encourage, support and provide financial assistance so that disabled children might enjoy a sense of accomplishment through competition and thrill seeking. We are convinced these activities enrich all participant’s lives. We are expecting to have three of the kids on at least part the ride this year, depending on the course and weather conditions. CU: Is there anything else that you would like to add? HTH: We are honored and excited to be putting on this ride for 2015. We’re expecting this year’s ride to be better, with excellent course marking, exemplary rest stops, a burger at the finish, and a whole lot of fun for everyone involved. We’re expecting a great turnout, and we’re hoping to blow the doors off this year’s ride!